Founded in 1967, Buffalo Spree serves a readership of over 140,000 people. It is also offered in 300 retail outlets. Our national award-winning publication is Western New York’s only city/regional magazine, offering dining, home & garden, arts, and other lifestyle coverage; personality profiles; and a wide range of other features relevant to its local and devoted readers. Our company is also the area’s largest custom publisher. 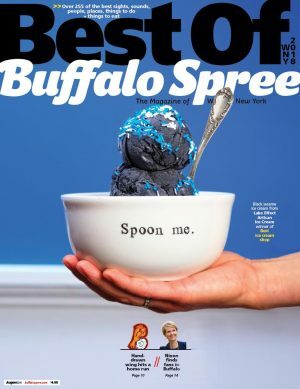 Buffalo Spree Magazine is also available through a digital subscription. Parent Company: Buffalo Spree Publishing, Inc.